Sanitation was declared a human right by the UN in 2010, but over two billion people across the globe are still a long way from realising this right. Drinking water, also a basic necessity is not available to 748 million people in the world. Open defecation is rampant in India. The country is home to the world’s largest population that defecates in the open and excrete close to 65,000 tonnes of faeces into the environment each day. India is also facing a fresh water crisis as it holds just 4% of the world’s fresh water — but 16% of the global population. Every year, diarrhoea kills 188,000 children under five in India. It is the second most common cause of child deaths. 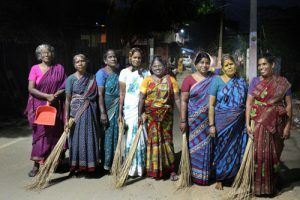 Due to lack of toilets, women have to leave their rural or urban homes after dark to defecate. In May 2014 two teenage girls in Uttar Pradesh visiting a field used as a communal toilet were raped, murdered and strung up from a tree. That case won notoriety for its extreme barbarity, but similar attacks are distressingly common. Open defecation has been practiced in India for several years and is now become a habit for many men, who prefer to do it in the open despite having access to toilets. Most schools have only a single toilet for both boys and girls, which are usually not maintained and are extremely dirty. Single toilets not only increase the risk of disease transmission, but also sexual harassment. This is especially true in the case of adolescent girls who skip school for five to six days every month, during menstruation. This hampers their education and in many cases even leads them to drop out of school. 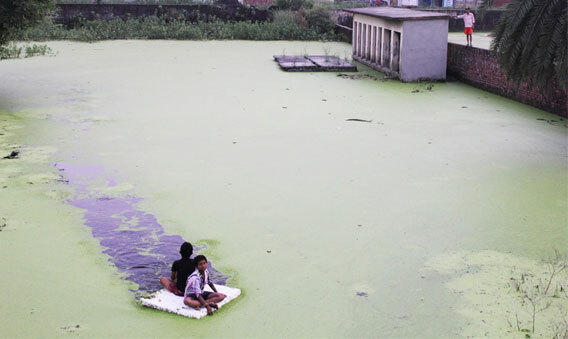 37.7 million people –over 75% of who are children, are afflicted by waterborne diseases every year. 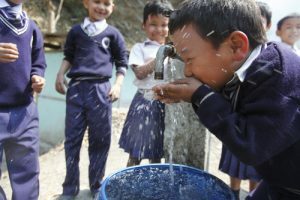 Most schools in India do not provide access to safe drinking water to its children, creating a high risk environment for the students as well as the staff and thereby increasing their susceptibility to environmental health hazards. This affects the children’s ability to learn as falling sick regularly would force many to be absent from school. Our aim is to make communities resilient by providing them access to their basic needs of access to safe water and hygienic sanitation practices. Viewing children as catalyst of change in communities, we find that promoting hygienic WASH practices in school not only benefits the children, but also the entire community. Resilient children can persevere through their own adversity, be strengthened by it and catalyse others to do the same. In best cases, these children grow up to become those agents of change who give back to the world more than they take, making it a better place for all of us. Our initiatives in schools focus on the structural components as well as training and capacity building on hygienic behaviour and waste disposal. All schools constructed by SEEDS have separate toilet units for boys and girls and drinking water facilities customised to the children’s’ needs. The children are made aware of the importance of hygienic practices like keeping the toilets clean, hand washing practice, drinking safe water etc. to bring about a behavioural change. While building toilets seems like the most obvious solution to the problem of open defecation, it does not completely solve the problem. In many communities, men prefer to defecate outside despite the availability of clean toilets, as for them it is a matter of habit. Thus, apart from construction of toilet units, an important aspect of all our initiatives is awareness generation and brining about a behavioural changes. The people also need to be educated on the importance of water conservation. We help communities install rainwater management and water shed management systems into place and also spread awareness regarding their importance. This is done to make sure the community is motivated to take initiative and maintain such systems in the future. We make sure there is always some level of community involvement in the construction process as it builds a sense of ownership, which in turn ensures that the community takes initiatives to maintain these facilities in the future. We also conduct campaigns and awareness rallies on hygienic sanitation and water practices with active participation from the community.